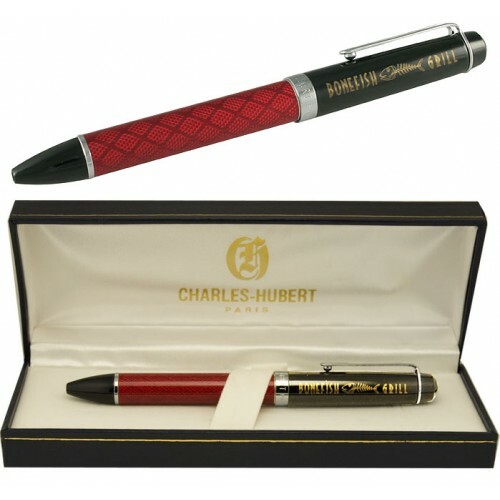 Charles-Hubert Paris pens are available with various metallic and lacquer finishes and decorative accents. Each features a standard cartridge refill and heavy-duty clip. Fountain pens have a medium size nib. Included with each pen is a medium fine point black cartridge and lifetime warranty. 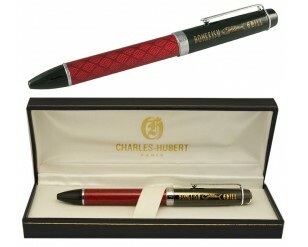 Each Charles-Hubert pen is 5.5" long and comes in a gift box.